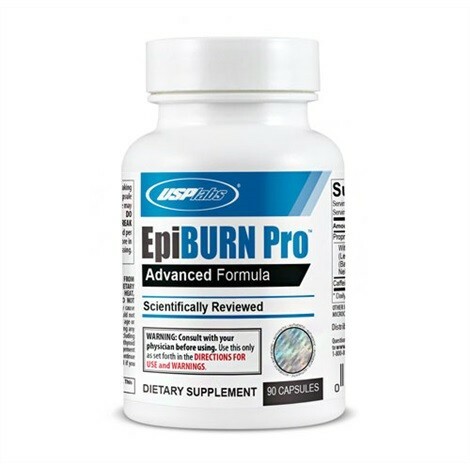 Produktinformationen "USP Labs EpiBURN Pro 90 Kapseln"
Consult with your physician before using this product. Begin by taking 1 capsule on an empty stomach 15-30 minutes before breakfast. An additional 1 capsule may be taken 5-6 hours later. Once tolerance has been assessed, an additional capsule may be added in the morning. DO NOT TAKE MORE THAN 3 CAPSULES IN 24 HOURS. DO NOT USE PRODUCT FOR MORE THAN 8 WEEKS. ALLOW AT LEAST A 4 WEEK BREAK BEFORE STARTING ANOTHER 8-WEEK CYCLE. Consume at least 125 fl. oz. of liquid per day for men and 91 fl. oz. of liquid per day for women while taking this product. Store in cool dry place. Discard after expiration date. Do not use if safety seal is broken or missing. KEEP OUT OF REACH OF CHILDREN. 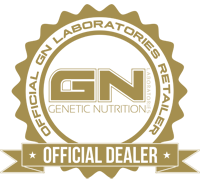 DO NOT USE IN COMBINATION WITH CAFFEINE OR ANY STIMULANTS FROM OTHER SOURCES, INCLUDING BUT NOT LIMITED TO, COFFEE, TEA, SODA AND OTHER DIETARY SUPPLEMENTS OR MEDICATIONS. DO NOT USE UNDER EXTREME CONDITIONS OF HEAT, SLEEP DEPRIVATION, EXTREME CARDIOVASCULAR EXERTION OR DEHYDRATION. DO NOT COMBINE WITH ALCOHOL. This product contains caffeine. Stimulants such as caffeine may cause a mild, transient increase in heart rate or blood pressure. Pregnant or nursing women should not use this product. This product is only intended to be consumed by healthy adults 18 years of age or older. Consult with your physician before using this product, especially if you are using any prescription or over the counter medication or if you have any pre-existing medical condition including but not limited to high or low blood pressure, cardiac arrhythmia, stroke, heart, liver, kidney or thyroid disease, seizure disorder, psychiatric disease, diabetes, difficulty urinating due to prostate enlargement or if you are taking a MAOI (Monoamine Oxidase Inhibitor) or any other medication. Discontinue use 2 weeks prior to surgery. Discontinue use and consult with your health care professional if you experience any adverse reaction to this product. These statements have not been evaluated by the Food and Drug Administration. This product is not intended to treat, diagnose, cure or prevent any disease. Weiterführende Links zu "USP Labs EpiBURN Pro 90 Kapseln"
Kundenbewertungen für "USP Labs EpiBURN Pro 90 Kapseln"